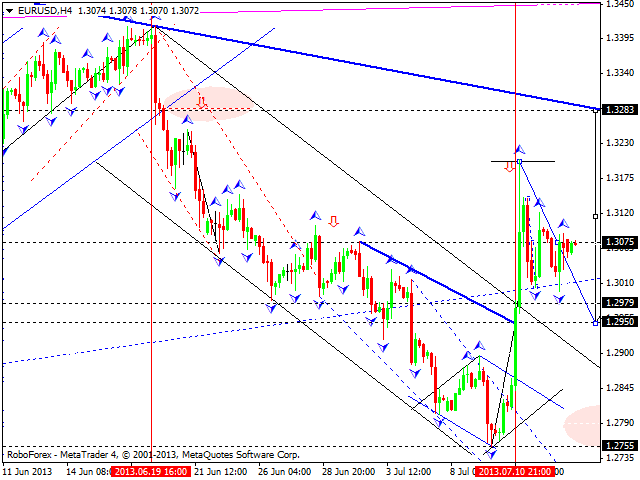 Euro is still forming a correctional descending structure with the target at 1.2950. We think, today the price may reach the above-mentioned target and then start a new ascending movement towards the level of 1.3280. Pound also continues forming a correctional structure towards the level of 1.5040. 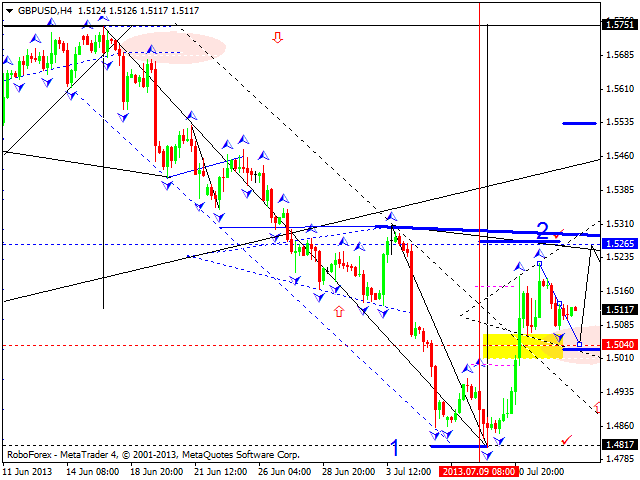 We think, today the price may reach it and then complete this five-wave structure by reaching the target at 1.5265. 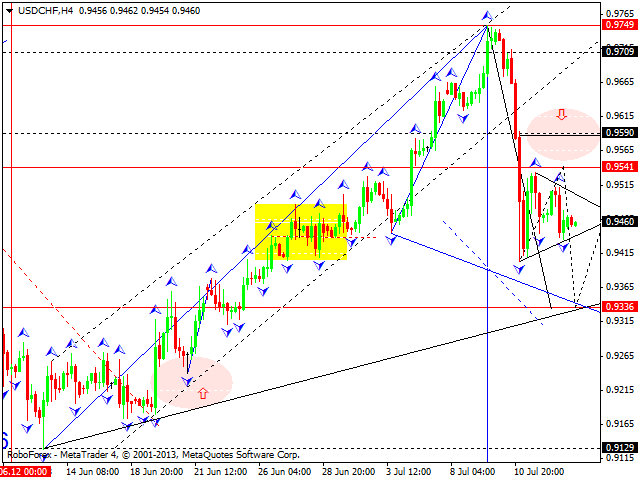 Franc is also still forming an ascending correction towards the level of 0.9540. Later, in our opinion, the pair may fall down to reach the main target of this wave at the level of 0.9340 and then start a new ascending correction towards the level of 0.9590. The USD/JPY currency pair is moving inside a narrow trading range. The main scenario implies that the price may falling down without any ascending structures. 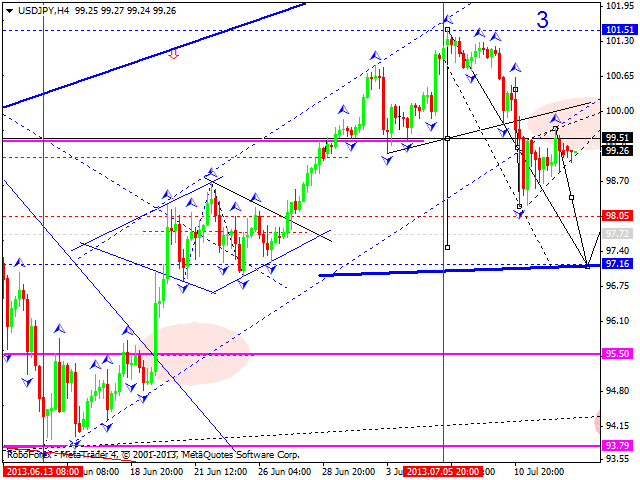 The target of this descending movement is at 97.16. Australian Dollar reached a new minimum again; the pair continues moving downwards and even formed a continuation structure near the level of 0.9190. 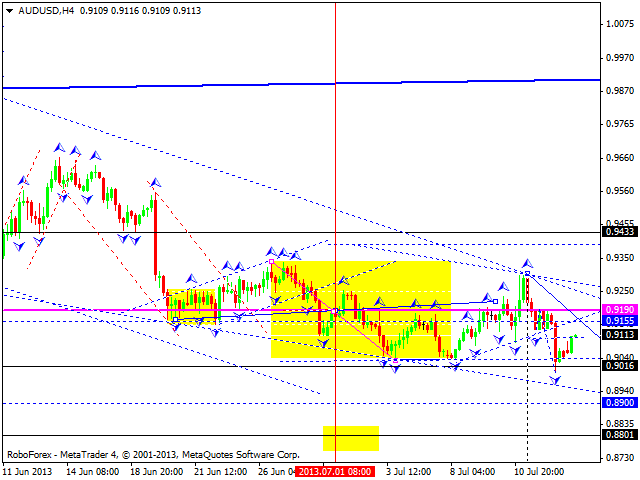 Such scenario implies that the pair may continue falling down much deeper; the target is at 0.7800. Considering that the market is moving inside the third wave and forming a lot of continuation patterns, in our opinion, there will be no serious corrections. We think that any ascending structure may be considered as a signal to increase short positions. Gold is trying to form an ascending structure. The main scenario implies that the price may fall down towards the first target at 1250 and then form another ascending structure to reach the target at 1320. Later, in our opinion, the instrument may continue moving downwards to reach the level of 1150. 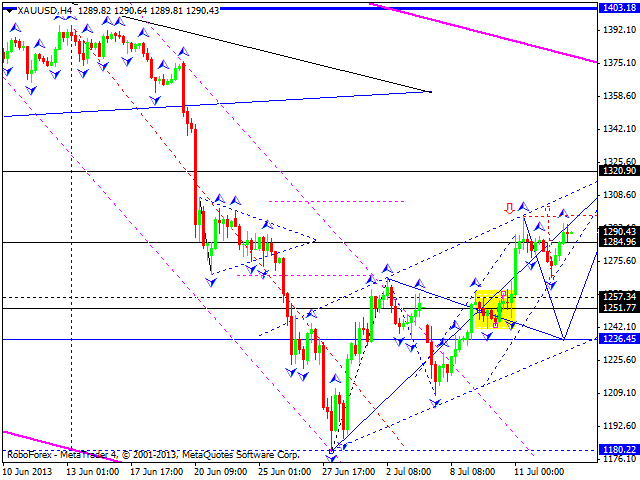 The main scenario remains the same: the market is moving inside the third descending wave with the target at 800.